If you’re planning on including chain in your jewellery designs, you may want to understand the different types and style options that you can use. Our handy guide to chain will help you understand all the options available to you, so you can choose a chain that complements your jewellery designs. To supplement this, you might want to check our handy necklace length guide below too – for guidance on how long a chain should be so your design hangs in the right place. Use our straightforward guide to different chain styles to help you choose the correct chain for what you require, and what will compliment your jewellery designs. What is a cable chain? The traditional link chain that we all know and love. This may be the common chain that you’ve been familiar with for years, but many people refer to it as cable chain. It’s known for its oval links that are uniform in their construction, and interlocked together to form the classic type of jewellery chain. There are many variations of the link chain. What is a curb chain? 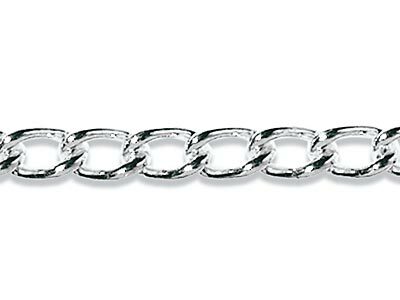 Curb chain features links that have been flattened and twisted and interlock tightly together to form a chain. A slight twist on the classic cable chain, curb chains are popular in very fine formations at around 1mm and much chunkier variations, ideal for creating statement necklaces. Even more popular is the diamond cut curb chain which features facets across the surface of each link for a fine professional finish. What is a figaro chain? This is a cable chain with flattened links that are not uniform in size. It usually features 2-3 shorter links separated by a longer link, and comes in varying sizes and thicknesses. 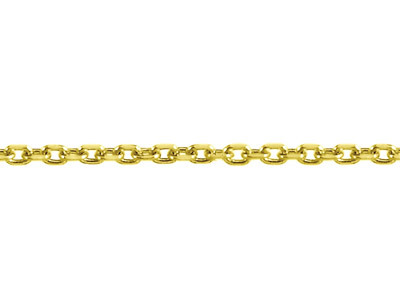 The Figaro chain we have available is diamond cut leaving a visible sparkle that captures the light. Its unique appearance makes it a popular choice often used in men’s jewellery. What is a ball chain? 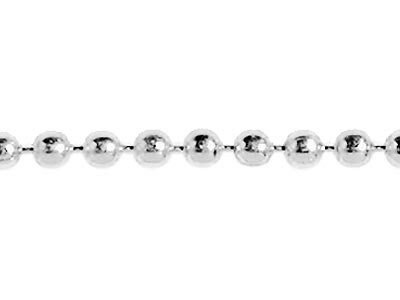 A ball chain features small sheet metal balls which are all identical in size and shape. Linked together with short lengths of metal wire, each ball is hollow and has two small holes either side to support the wire. For a delicate look that works well with small modern charms, ball chains are the ideal choice when you create small pendants as part of your work. For a twist on this delicate look, larger ball chains can be used with military-style dog tags for another unique look to add to your repertoire. What is a trace chain? 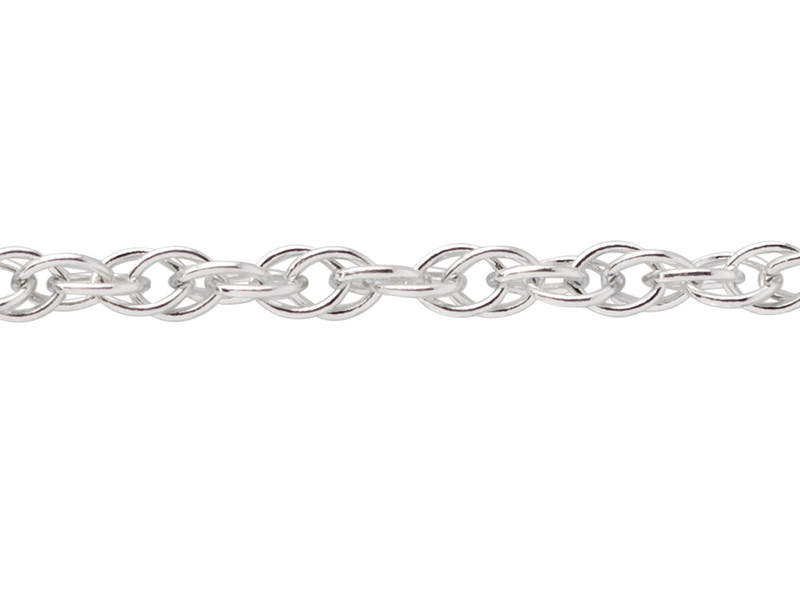 A delicate chain which features fine and small oval shaped links. The trace chain is an excellent choice for delicate charm necklaces, with dainty, lightweight pendants. When added sparkle is called for, choose diamond cut trace chain for an intricate piece of jewellery. What is a belcher chain? 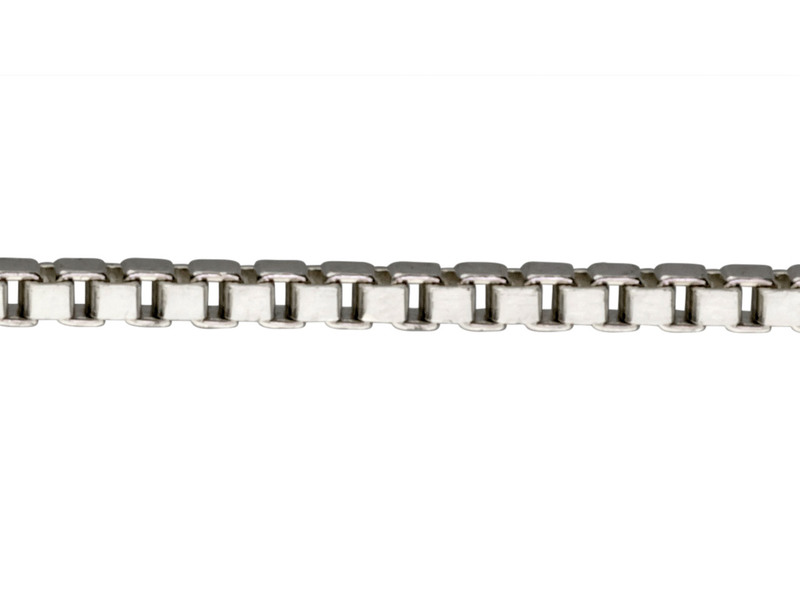 Also known as rolo chain, belcher chain is a type of trace chain made with D-shaped links that are fairly broad and of uniform size and shape. 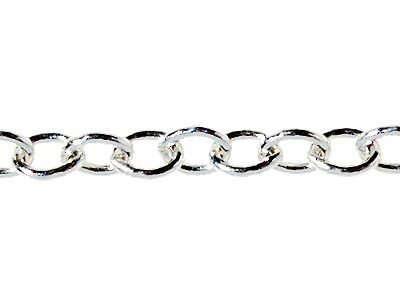 Belcher chain is excellent value for money and available in varying sizes and alloys, making it a versatile and popular choice amongst jewellery makers. What is a rope chain? A rope chain consists of links that have been carefully woven together forming twisted, rope-like lengths of chain. There are many designs used to create more intricate and complex versions of rope chain, and as they are such a delicate piece of work themselves, they are often worn in slightly larger sizes where the chain itself is the main attraction. What is a box chain? 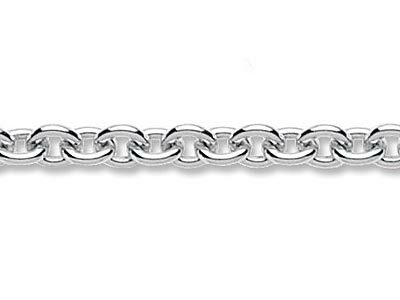 A box chain is constructed with a series of cubed links, and is sometimes referred to as a Venetian chain. It’s made using round wire that is then flattened and shaped into a series of box-like shapes. These small cubes are then linked together to form a sturdy chain that is smooth in appearance and an excellent choice for adding larger pendants. Thinking of adding your own pendants to some finished box chain? Make sure that the bail you make is large enough to fit the box chain. What is a snake chain? You may have heard this referred to as Brazilian chain in some circles – snake chains are a popular choice for many jewellery makers as standalone chain or with a pendant. They are made of lightly curved plates tightly woven with thin links to form a continuous chain. 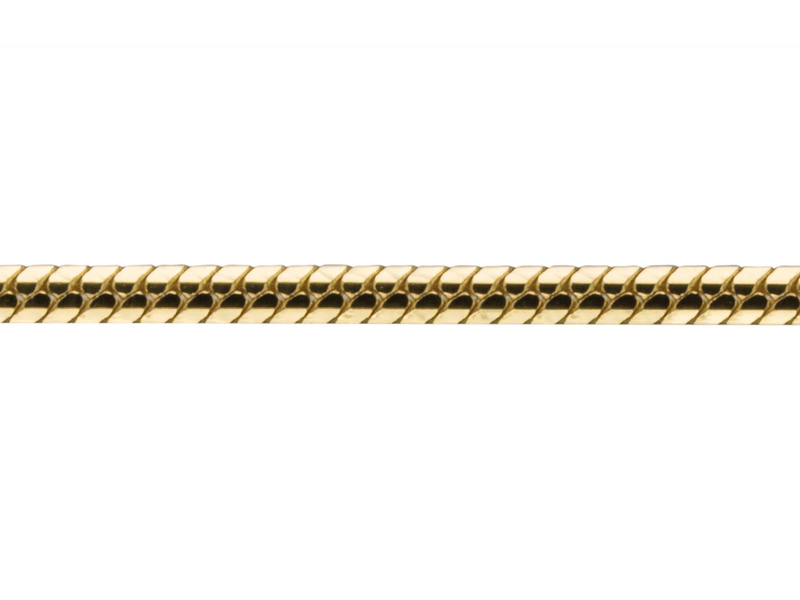 The surface is smooth, and although it seems closed, the chain is very flexible making it an option at a variety of lengths with or without a pendant. What do the code numbers that precede a style of chain mean? The information that is most relevant will be the second part of the number code i.e. the links per inch. Finished or unfinished: If you’re just starting to create your own jewellery pieces then you may not want to try your hand at creating your own chains just yet. Why not pick up some finished chain instead? That way you can concentrate on perfecting your pendants and charms before assembling it with your chain to create the perfect necklace or bracelet. 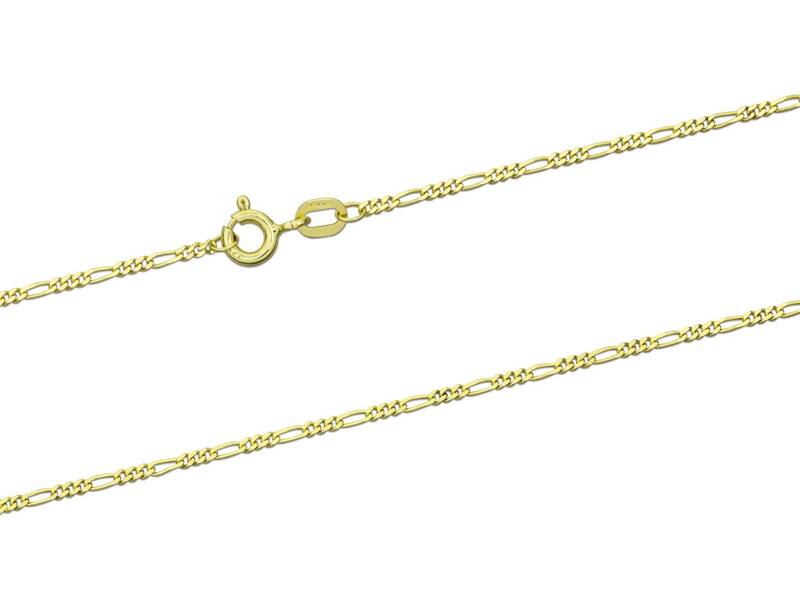 Our loose chain can be cut to whatever length you require, making it prefect for those unique jewellery designs, bracelets or repair jobs. Simply add your chosen chain end and clasp to create your own beautiful finished chain. Type of metal: Use the metal that will best complement the findings, beads, and stones that you’ve already been working with. If you’ve already invested in some sterling silver findings, then choose a sterling silver chain to accompany the components you already have in stock. At Cooksongold we have multiple alloys to choose from such as silver, yellow gold, white gold, and red gold as part of our loose chain and finished chain selection. Size: How much of a statement do you want to make with your necklaces? If you’re creating delicate charm necklaces, you’ll want a fine chain that complements the charms. But if you’re creating a statement piece that requires a sturdier chain to take the weight of your bold design? Make sure you invest in a sturdier chain that will work well with your designs. Length: How would you like your necklaces to sit? Whether you’re creating chokers, traditional princess style necklaces, or longer pieces that sit on the bust, making sure you choose the right length for your intended work will make all the difference. Make sure you double check the length you require with our handy necklace length guide. This will help you get to know the amount of chain you’ll need to order to make your designs. Print it off and pop it on the wall in your workshop. You’ll be creating a multitude of different necklace types for your customers in no time at all.